Aprox 7" X 9" X 1" Chopping block/bowl with Inupiat style ulu knife with aprox 6" stainless steel blade and Mountain scene on the wood handle. Imported but with our own design and quality control. 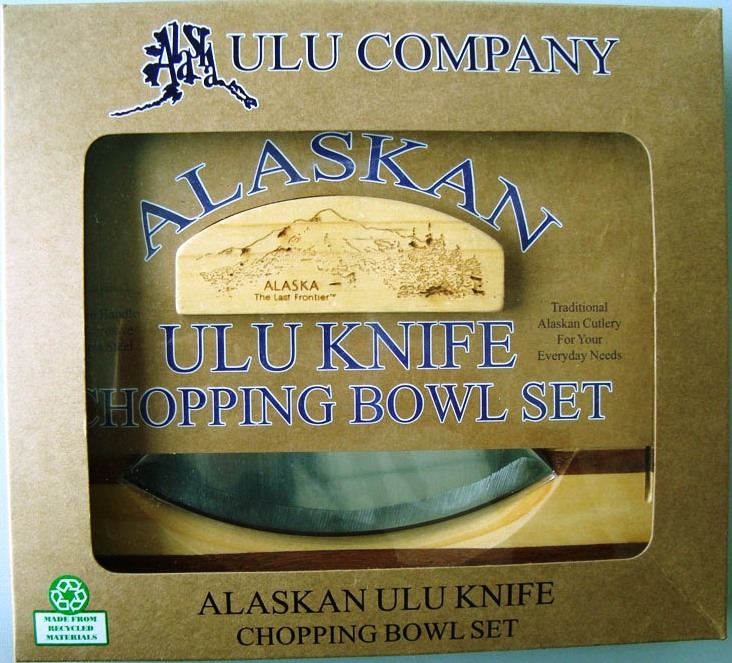 Life Long Alaskans design all our products.